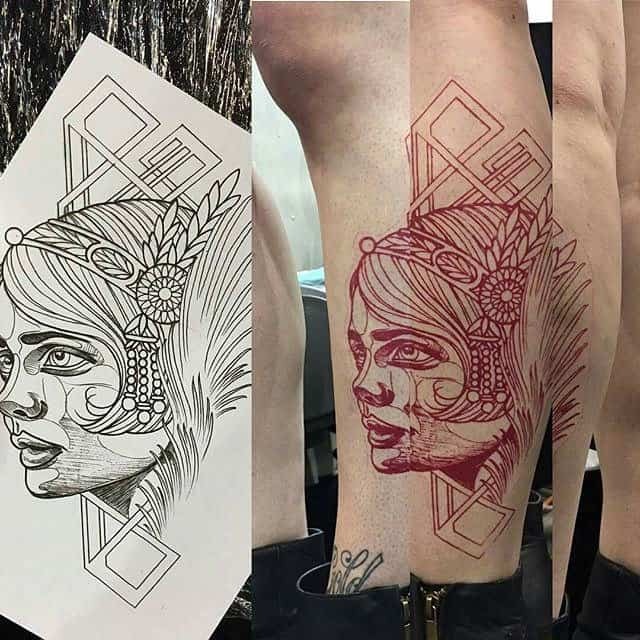 A tattoo stencil is used to accurately transfer a design from paper to your skin. 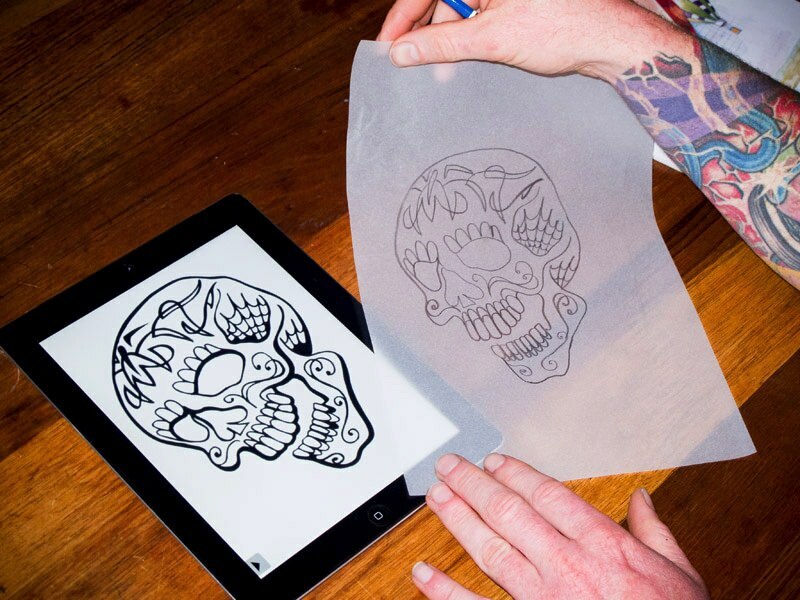 Making a tattoo stencil is easy to do at home but will take some practice to refine your accuracy. 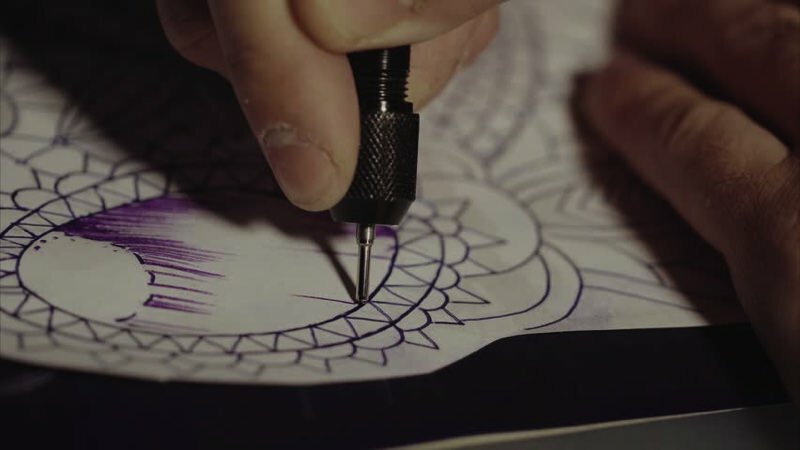 Creating your own stencil is a good idea if you are looking to test out designs before involving a tattoo artist. The steps below show how a tattoo stencil will be professionally prepared and applied in a tattoo parlor. If you are planning on just testing the design out at home, you will not need to take the extra steps to prep the skin. Your skin will be cleaned (and shaved if necessary) to help the design transfer better when a stencil is applied by an artist. Before you get started, make sure you have all the materials and equipment that you will need. Specialised inks and pens can easily be found online. Please note, this will not work unless you use the correct equipment which is listed below. An ink pen with a fine tip. Stencil lotion or stick deodorant. If you do not want to keep dipping the pen into the fluid, you can also buy special fluid pens made for stenciling. Once you have all the necessary equipment, spend plenty of time practicing the design you want on paper. 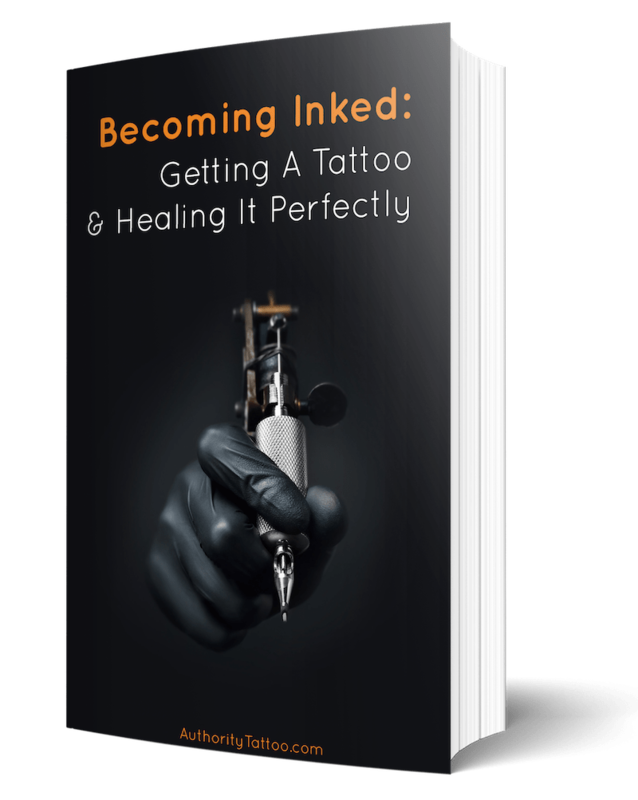 If you are not drawing the design from scratch and your tattoo design has been printed out, you can skip this step. Make sure that your design has bold outlines that will be easy for you to see through the tracing or wax paper. Once you are happy with the design, it’s time to transfer it to tracing paper. Place the tracing paper over your design and tape both down on a smooth and solid work surface to prevent them from moving. Be careful to use masking tape or an easy-remove tape so that you do not damage the tracing paper when removing the tape. Once you have carefully traced your design onto the tracing paper, remove the tape and turn the tracing over. Place a blank piece of tracing paper on top of your completed tracing. Tape both down for security and then trace the design again, using stencil fluid or a stencil pen. Do not panic about the design being flipped. This is necessary to ensure that the design is the right way around when you print it on your skin. If you do not flip it, the design will be reversed when transferred, leaving you with a back to front design. Before you print the tracing on your skin, you need to prepare the area correctly, to ensure the transfer sticks properly. First, shave any hair that is in the area. Next, clean and dry the area of skin where you are going to apply the stencil, using antibacterial soap. Finally, rub stencil lotion or stick deodorant onto the same area, to help the tracing stick. Once the area is prepped and ready, carefully apply the stencil, with the fluid side facing the skin. Pat the stencil onto the skin and leave it to set for a minute or two. Do not rub the stencil as this may cause the design to smudge or blur. When you are ready, carefully peel the tracing paper away. Your design should be left on the skin, ready for the needle! Making a tattoo stencil is fun, quick, and easy. So what are you waiting for? 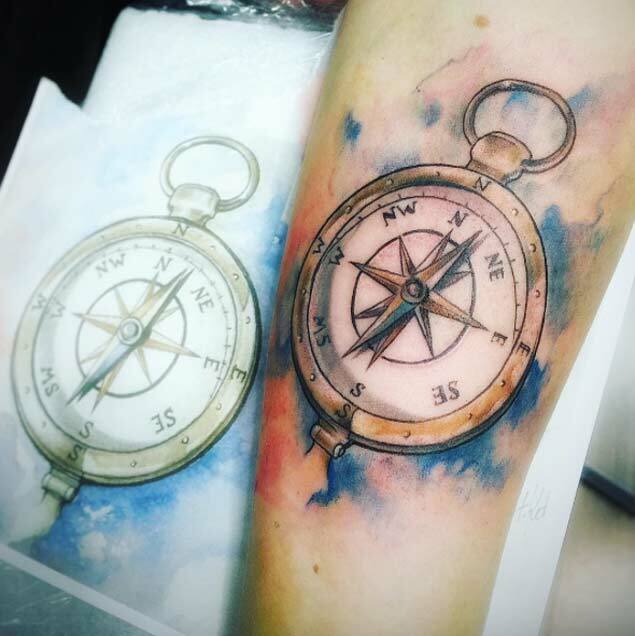 Why not have a go at home and test out some of your new tattoo ideas?